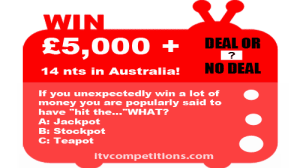 If you suddenly and unexpectedly win a lot of money you are popularly said to have “hit the…”WHAT? 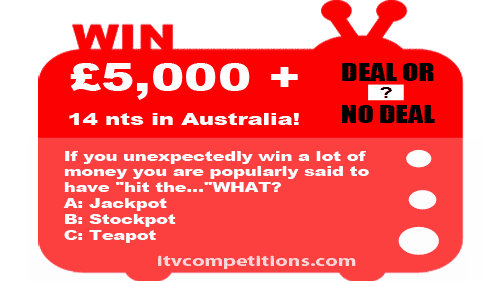 Enter this Channel 4 competition 6 times per phone number and you could be flying to Oz! !